Jewish Humor Central: Throwback Thursday Comedy Special: Sid Caesar and Imogene Coca as The Hickenloopers - "The Joke"
Throwback Thursday Comedy Special: Sid Caesar and Imogene Coca as The Hickenloopers - "The Joke"
With Passover behind us, we're getting back into the groove of dipping into the comedy archive every Thursday, and pulling out a beloved comedy sketch from such favorite TV programs as Your Show of Shows. In this episode from the early 1950s, Sid Caesar and Imogene Coca take on the roles of Eddie and Doris Hickenlooper, a happily married couple who always seem to find something to bicker about. 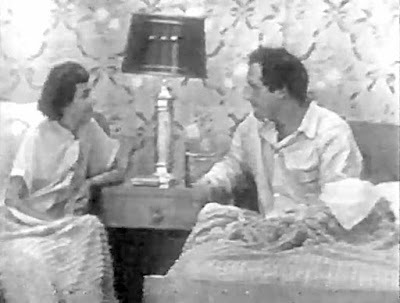 As they get ready to go to bed (in single beds, which was the way the TV censors wanted it back then), Sid tells Imogene a joke that she doesn't get. And then the fun begins. This is totally funny, funnier than hell!